Sedentary lifestyle, lack of adequate exercises and nutrient-rich foods are the major culprits why people tend to put on excess amount of weight. Losing weight in such a case becomes a herculean task. So, how can one lose weight? 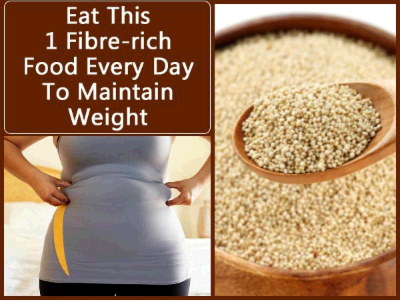 Among the several ways to maintain weight, adding quinoa to one’s everyday diet helps in maintaining weight and in staying fit. People might have tried several ways to lose weight and all these would have gone in vain. So, if you are looking out for a way to maintain weight and stay fit, then keeping a check on the food that we eat along with going in for regular routine exercises are important. Previous post: Secret Home Remedy To Lose Belly Fat In A Month!